On paper, all the lenses are remarkably similar: they are heavy, each weighing in the region of 1,500g; they are bulky, with lengths of approximately 190mm; they offer 4-stop stabilisation (in-camera with Sony versions); and they have a similar number of lens groups and elements. To a degree, then, as I set out on this test, I was expecting to be splitting hairs. However, over the course of some use, each lens has displayed some noteworthy differences. Each lens is constructed to a high standard but, being made of plastic, the third-party versions have less of a ‘workhorse’ feel to them. The hinge on the lens collars appears as a potential point of weakness.The Canon and Nikon lenses are the only ones that are officially weather-sealed, which could make a difference to those shooting in extreme conditions. The zoom and focus rings of the Sigma lens turn all too easily, while the rest are beautifully dampened, but I prefer the layout of the control rings in the third-party versions. Autofocusing is an area where the Nikon and Canon lenses have the edge, with AF motors that snap into focus very quickly. Well done to the Tamron lens, too, as it puts in a fine performance. All this said, only the critical photographers covering high-speed action and events will be affected by these largely minute fractions. 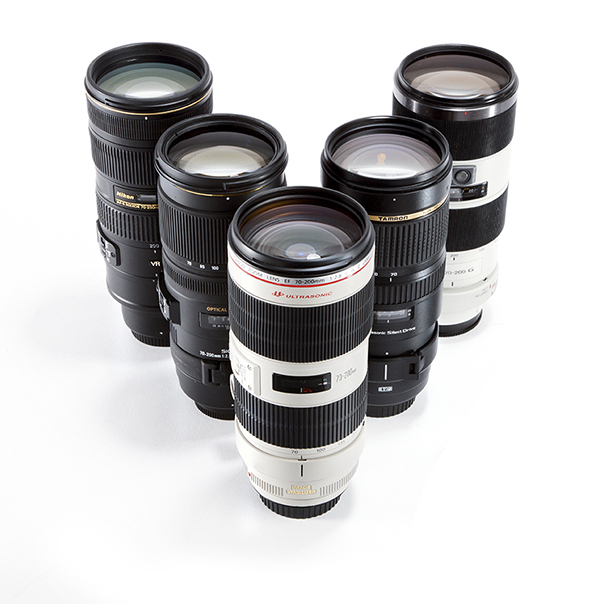 As for image quality, each lens put in an excellent performance. Again, differences are mostly subtle: the Sigma is edged for clarity and contrast at all settings, especially at its f/2.8 aperture where it is softer than the rest. Impressively, the third-party Tamron lens is able to match the sharpness of each brand lenses and its control over distortions such as chromatic aberration is equally good. None of the lenses is afected by distortions to a point that cannot easily be rectified post-capture using basic raw-editing sofware. Overall, the proprietary lenses have the edge over the Sigma optic in virtually every key area, but they come at a premium. The Tamron lens competes ably, but is priced virtually the same as the brand models and has a build quality that is not up to the same standard. In short, each lens can proudly boast a premium performance, but the most critical, demanding photographers are best served by spending big.